Congratulations on your engagement! Planning a wedding is a lot of fun, but it definitely comes with stress and overwhelm. 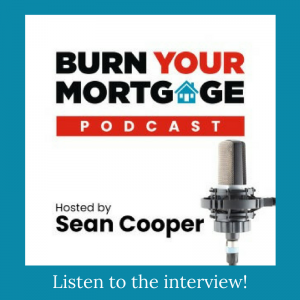 Between all the decisions to be made, the number of vendors to coordinate, and the sheer importance of the whole thing, it’s easy to feel pressure. Add to that the fact that the average wedding costs over $36,000, and it’s enough to send anyone’s brain spinning! 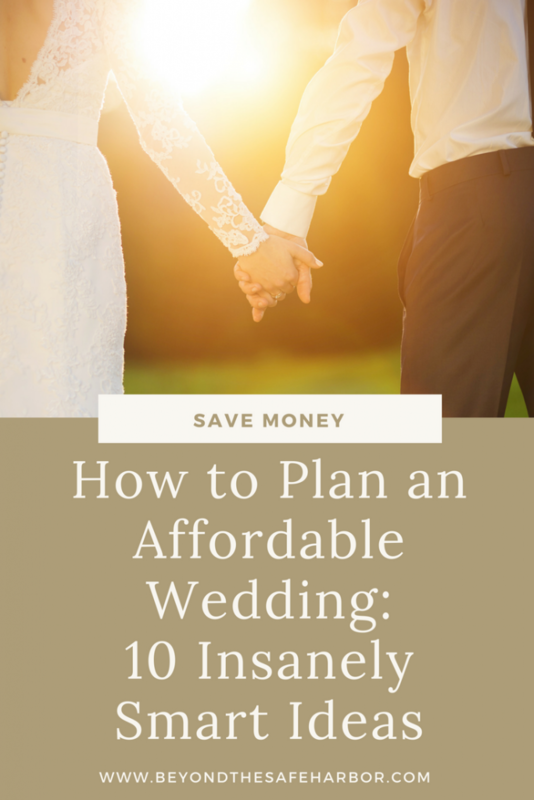 But what if there were ways to reign in your costs and make your wedding more cost-friendly, without sacrificing anything major? Today I’ll be sharing just that: 10 brilliant ways to plan an affordable wedding. We’ve discovered these hacks through the process of planning our own wedding, and they can really add up to some serious savings. But first, a big tip. If I could give one overarching piece of advice on making your wedding more affordable, it’s to opt for non-wedding things wherever possible. For example, could you have a regular cake made that’s not a “wedding cake”? Could you get a regular limo package instead of the “wedding package” that up charges for things you may not need? Can you get a generic guest book versus only shopping from wedding guest book vendors? The wedding industry is notorious for adding a premium to the cost of products and services because they know most couples will pay it. 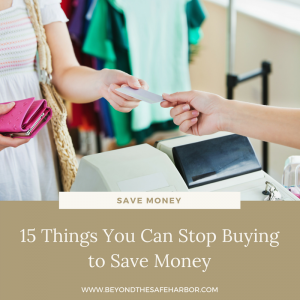 But if you’re a savvy shopper, you can short circuit parts of your planning to avoid this and put more money back in your pocket. This will be the rationale behind some of these suggestions, but I wanted to call it out separately because it can make a big difference. #1: Trade in your cake for cupcakes. Nowadays, a traditional wedding cake and cake cutting ceremony aren’t nearly as common as they once were. In most cases, your guests will have dessert with dinner and may also enjoy a sweet table. Plus, if you have a few speeches at the reception along with key dances (first dance, Father Daughter dance, Mother Son dance), it can feel like one more formalized thing is just too much. 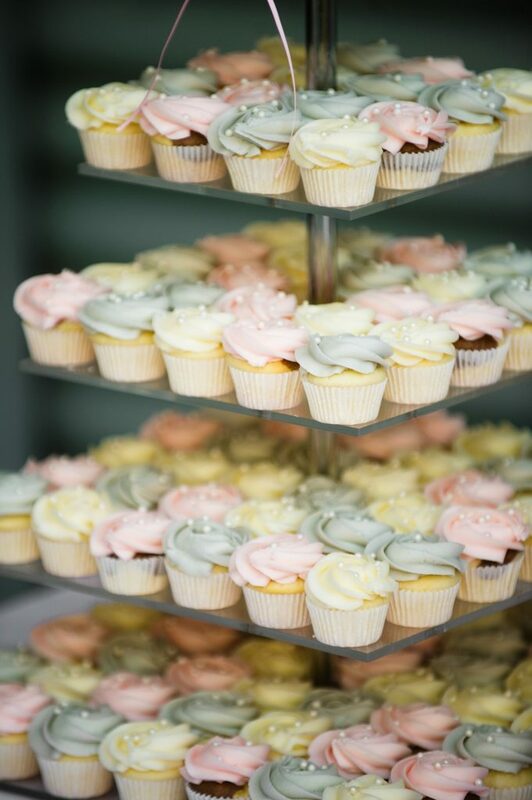 Instead, opt for cupcakes! No cutting needed, easier to serve, and they can come in a bunch of flavours, appealing to every palette. They’re also more cost-effective and easier for guests to take home at the end of the night, meaning less waste if you have leftovers. Had your heart set on cutting the cake with your new husband? Get a small cake! Many bakeries will do small 6″ or 8″ round cakes that are beautiful. Looking for something even more frugal? Order your cake from a grocery store (just don’t tell them it’s for a wedding or you may pay more!) To be honest, I often like sheet cakes from the grocery store more than fancy cakes, so this option can make a lot of sense. #2: Skip the things that don’t matter to you. Just because something is “part of a wedding” doesn’t mean you have to do it. In speaking with friends and other brides, things like a guest book and favours are two that can be on the chopping block. The guest book is often missed, and people will often write their message to you in a private wedding card anyways. Favours are often left at the venue at the end of the night, and unless practical, they may end up collecting dust. Some other things you may want to skip are wedding programs, ceremony musicians (opt for a DJ instead), and a second photography shooter. We’re also leaving out the bouquet toss and garter toss, neither of which we have any interest in doing, and both of which cost money. That being said, look at what’s important to you and your husband-to-be and don’t skimp on the meaningful stuff. As I talk about in my post on how to plan your wedding with intention, the goal is to make the day something with meaning to both of you. #3: Where possible, go electronic. Unlike when our parents got married, we live in an era where technology and electronics are ingrained in our lives. Take advantage of this and go digital where possible! A great example is for save-the-dates. You can send these out electronically through sites like Paperless Post and Punchbowl. 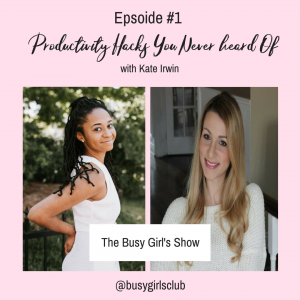 Have people on your list who don’t have email? Send them a save the date postcard instead! Postcards are typically less expensive since there’s no need for an envelope. Plus, save-the-dates are less formal in general and are only one “page”, so a postcard works just fine. You can also create a wedding website with information for your guests to streamline communication. Less to include on your invites means less paper and lower cost! We ended up doing a mix of Save the Date postcards from Minted and electronic Save the Dates from Paperless Post. We kept the look and feel the same by taking a screenshot of the final proof of the postcard and using that as the image for the electronic invite. Below is the design we went with. It’s foil-pressed which looks beautiful! For the invitations themselves, you may want to go with hard copy physical invitations, but you can save money there too. For example, we’re getting four-panel invitations (folded cards) because they’re cheaper than doing multiple pieces and make it easier for guests to have all the information in one card. And while we’re doing RSVP postcards (again, cheaper than card with envelopes! ), you could collect your RSVPs electronically to save more money. Bonus tip: Giving Assistant normally offers 10% cash back on Minted purchases! Sign up with Giving Assistant today (and get $5USD cash for signing up!) See my full review of Giving Assistant here. #4: Shop regular stores for bridesmaid dresses. When I started shopping for bridesmaid dresses, I was shocked at the prices. 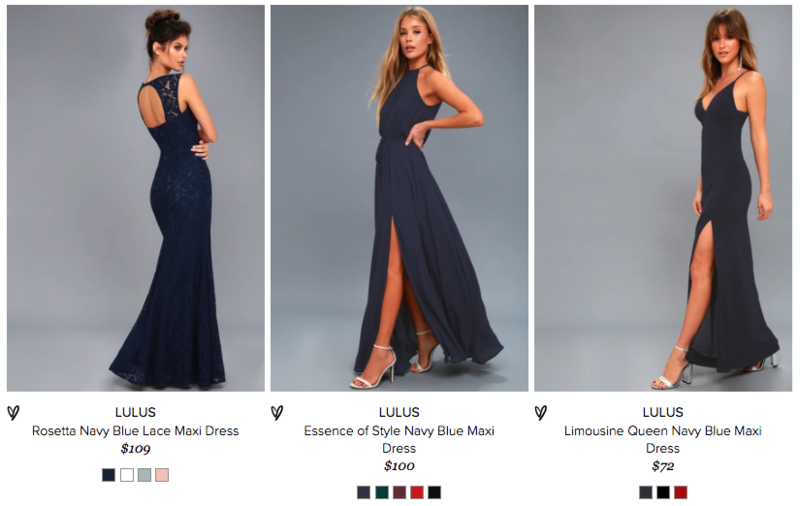 My maid of honour suggested checking out Lulus.com and I was pleasantly surprised by their selection and prices. At the time of writing this, they have over 200 bridesmaid dresses! They have lots of different styles and colours and most are under $200 with many under $100. Shipping is free on orders over $50 to the U.S. and orders over $150 to Canada. You can also have your bridesmaids combine their orders to hit the minimum if you’re in Canada like us! I expect that if Lulus.com was purely a bridal store, the prices would be much higher. But because bridesmaids dresses are only a part of their business, the prices have to be more in check with the rest of their merchandise. #5: See if your hotel provides a complimentary shuttle. Trying to organize a bus to take your guests to and from the ceremony or reception? Before you book, look into what your hotel offers. Ours offers a complimentary shuttle to the ceremony and back from the reception, just from guaranteeing a certain number of rooms booked for the event! Yes, it’s just a regular school bus and nothing fancy. But it’s perfect for the 15-minute trip and makes things convenient for our guests. #6: Use your ceremony flower arrangements at your reception. Our florist actually made this recommendation and I love her ingenuity. When you’re choosing floral arrangements for your ceremony, look at how you can reuse them in the reception area afterwards. For example, the large floral arrangement on the arbor of the ceremony structure will be placed on the head table for the reception. The two large arrangements at the front of the seating area will be moved into the small barn structure where we’re having our cocktail hour. The only flowers that aren’t being reused are the petals from the aisle. This makes your floral dollars go much further and prevents waste. For more specific suggestions, check out this great article about how to repurpose wedding flowers. #7: Look into reusing suits from other occasions. If there are friends in your group getting married around the same time, see if you can use this to your advantage. For example, my fiancé and one of his groomsmen were both groomsmen in another friend’s wedding and got custom-made suits from Indochino. Instead of getting new suits, they’re going to wear those suits which means there are only 2 groomsmen left who will have to get suits for the wedding. They’ll be able to get theirs custom made at Indochino too to match. To have him stand out a little, my fiancé will be getting a matching vest for his suit (also from Indochino) and will also have a boutonniere that matches my bouquet and will differ from the groomsmen boutonnieres. This is perfect since it saves two people from having to buy yet another suit, but doesn’t sacrifice my fiancé from standing out. #8: Order gifts online, during sales, and use cash back sites to save even more. As you get into planning, you’ll realize that there are a lot of gifts and small thing to buy like gifts for your bridal party, accessories, and decor. Make a list of what you need, and where to buy everything from. We ordered almost everything online, and took advantage of big sales like Black Friday and Boxing Day to save even more. The icing on the cake? Using cash back sites to save up to 10% on our purchases. By ordering well in advance and stacking savings, we were able to make our budget go further. Which Are the Best Cash Back Sites? #9: Charge as many expenses are you can to your credit card. No, this doesn’t mean to overspend or go into credit card debt. But if you have a credit card with great benefits like cash back or rewards, spending on it is far better than using cash or money transfers. Note that some vendors will offer a discount if you pay cash. In that case, do the math to see what the discount works out to compared to the points you would earn with your credit card. #10: Choose an all-service affordable wedding venue. One of the biggest things that has kept us sane during planning has been how full-service our venue is. We loved the idea of getting married at a venue that was either a barn or winery, but many of the barns we looked at were no frills. This meant we would need to source our own tables, chairs, linens, caterer, alcohol, etc. Yes, this may have saved us a little bit money-wise on certain items, but it would have been a world of hassle and potentially more expensive overall. Can you have your ceremony and reception at the same venue? This saves on transportation costs. Does your venue have a dedicated wedding coordinator? This can save hundreds if not thousands of dollars on hiring a wedding planner or day-of coordinator. Does your cost include catering, linens, tables, chairs, alcohol, etc.? This can be more cost-effective than going a la carte for each item. Plus, if you have to coordinate all those extra vendors you may need to higher a planner which adds more cost. These you have it – 10 ways to save thousands of dollars on your wedding! Do you have any great money saving tips? We’d love to hear them! Leave me a comment below 🙂 Happy planning!